The pic above shows a few ways I use them in my home; keep holiday decorations safe from dust, for travel, store medicine in my medicine/first aid Muji bin,and hold small things in my closet kit. ziplocs are greati use them for all sorts of stuffdecorative marblesdried herbscrayonswax tartsgiant ones for fabric, trimmings, thread,table linens etcthen i put them in small baskets or bins so their lack of structure doesnt make them mess up the area they are stored in. 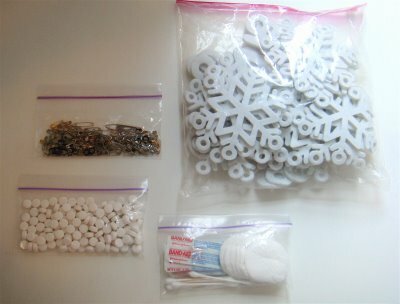 i can grab sewing supplies, for example, and not upset the other items when all I want is one piece of fringe or somethingin the freezer I use them for sauces and such, i squeeze the air out and freeze them flat so they are then thin and stackable.but i wonder, are they good for textiles or harmful?